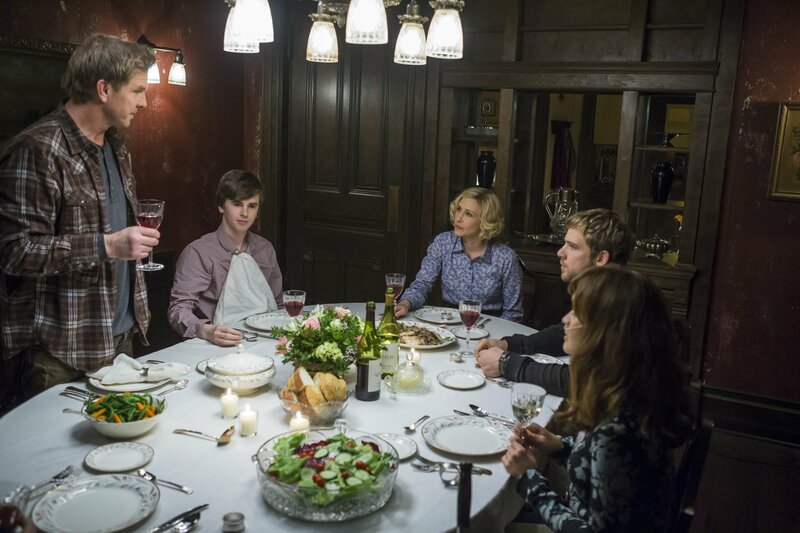 Bates Motel "The Last Supper" (3x07) promotional picture. . HD Wallpaper and background images in the Bates Motel club tagged: photo bates motel season 3 3x07 norma caleb norman dylan emma. This Bates Motel photo contains chakula cha jioni meza, meza ya chakula, chajio, chakula cha jioni, and brasserie. There might also be mgahawa, kula nyumba, kula mahali, eatery, bistro, and brunch.